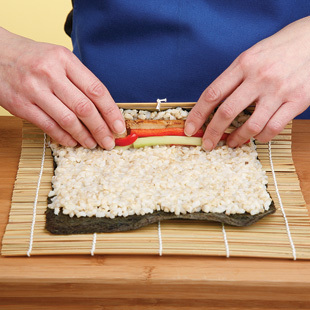 Simple step-by-step instructions for a Japanese favorite. 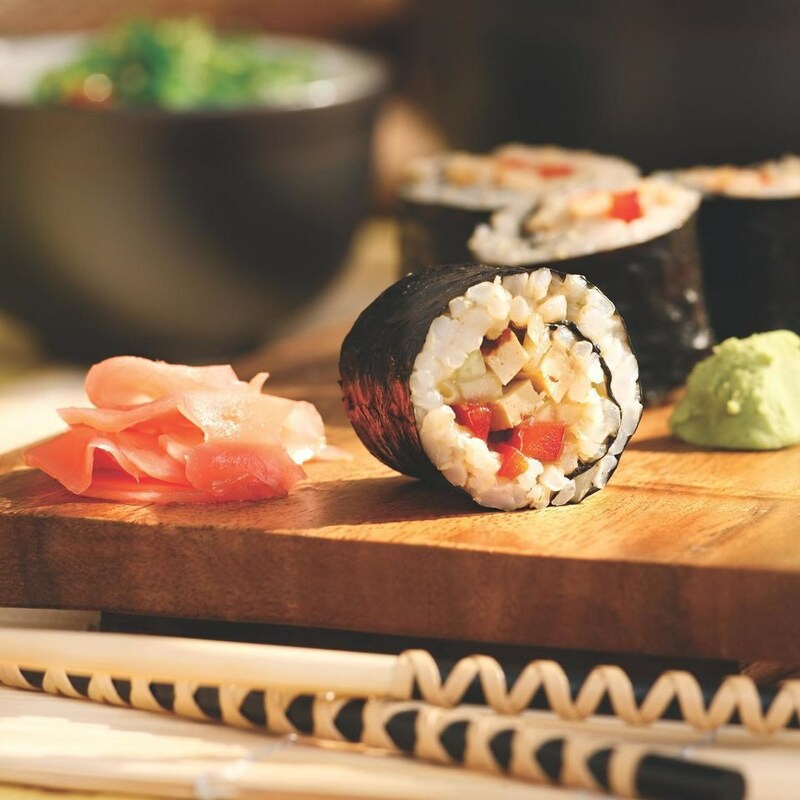 Maki is the Japanese word for “sushi rolls.” Sushi rolls lend themselves to endless variety—from vegetarian fillings to cooked meat to raw fish. Whatever the filling, the real secret to great sushi is the perfect rice. It’s a combination of careful cooling and handling along with a balance of sugar, vinegar and salt for seasoning. 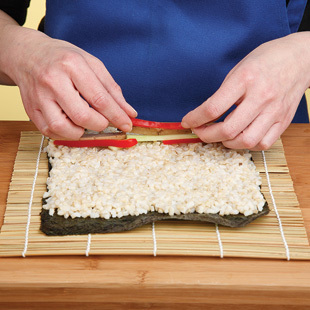 Place a nori sheet on a bamboo sushi-rolling mat—shiny side down, with a short end close to you—and pat a thin layer of rice over the nori, leaving a 1-inch border at the top. Place a thin strip of filling ingredients about 1 inch from the bottom of the rice. 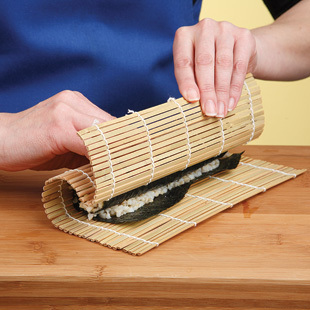 Use the bamboo mat to help you roll the maki closed. 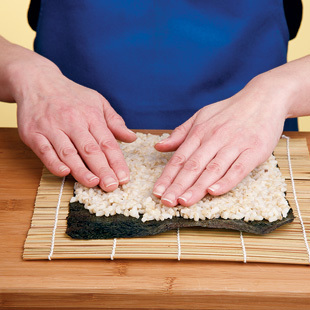 Gently press the closed mat over the roll to seal it, getting the mat out from inside the maki as it rolls up. 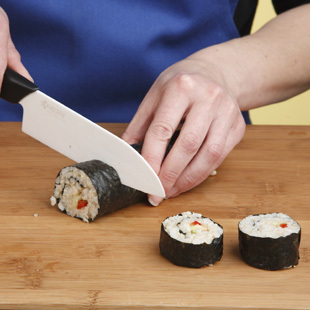 Trim any ragged edges and slice the roll into pieces with a wet sharp knife.